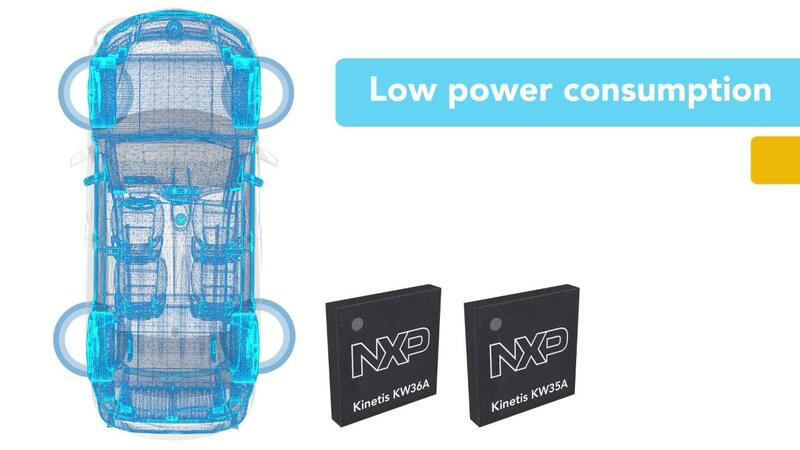 The KW36/35 is an ultra-low power, highly integrated single-chip family that enables Bluetooth Low Energy version 5 and Generic FSK (at 250, 500 and 1000 kbps) connectivity for automotive, industrial and medical embedded systems. KW36/35 integrates an Arm® Cortex®-M0+ CPU, up to 512 KB Flash and 64 KB SRAM, Bluetooth LE and Generic FSK hardware Link Layers and peripherals optimized to meet the requirements of the target applications. KW36/35 supports up to 8 simultaneous Bluetooth LE connections as either a master, a slave or any combination. The KW36Z includes an integrated FlexCAN module enabling seamless integration into an automotive or industrial CAN communication network, enabling communication with external control and sensor monitoring devices over Bluetooth LE. The FlexCAN module can support CAN’s flexible data-rate (CAN FD) protocol for increased bandwidth and lower latency. The KW36/35 devices can be used as a "BlackBox" modem in order to add Bluetooth LE or Generic FSK connectivity to an existing host MCU or MPU, or may be used as a standalone smart wireless sensor with embedded application where no host controller is required. The Kinetis KW36A/35A MCUs feature AEC Q100-Grade 2 temperature range qualification while the KW36Z/35Z feature and Industrial qualification. This guide describes the hardware for the FRDM-KW36 Freedom development board.